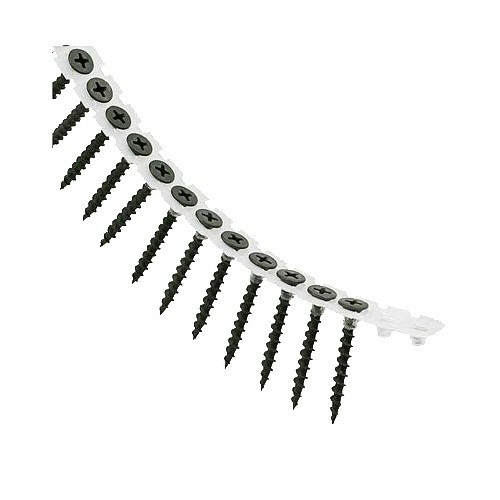 Collated screws are the best choice when you are looking for a screw which can be used with coarse drywall, and CNS Powertools are one of the leading suppliers of high quality collated screws from some of the biggest brand names. Our online shop is well-stocked with a great selection of screws which are suitable for a variety of different tasks, so whatever type of project you are planning to undertake, we can provide you with the kit that you need to complete your work to the highest standards. The brands that we stock include Timco, whose collated screws are some of the most popular on the market. Like all of our products, these are offered at competitive prices to save you money, so why go anywhere else when you are looking for a great deal on the highest quality screws, combined with fantastic customer service and a prompt turnaround on orders as standard.